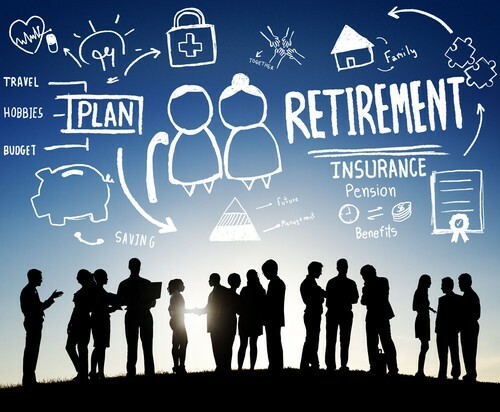 Most people have a very easy, ready-made opportunity to invest for retirement in the form of a 401(k) or other employer-sponsored retirement plans. These types of plans have become the primary means for the average person to invest, particularly for retirement. Regardless of how a person feels about the sustainability of social security, the need for individuals to start early in life to invest and plan for retirement has never been greater. Life expectancy continues to increase, thus making the potential retirement income needs increase accordingly. There are many taxable and tax-deferred investment opportunities available for retirement savings. In fact, regardless of a person's net worth, it can be beneficial to have differing ‘pots' of money available for varying phases of retirement. Our CERTIFIED FINANCIAL PLANNER™ professionals, can be of great assistance in helping you create and then transition accumulated assets into sustainable income to meet your retirement needs. Most people need assistance in accumulating wealth for retirement. For a Complimentary Planning Consultation, contact Jacki Imbrey,CFP®,RICP®, Richard Imbrey,CFP® or David Jeffries,CFP®,RICP® and we'll contact you promptly to schedule a convenient time for you to come see us.